Look forward to this tranquil Junior Suite! Experience unobtrusive luxury combined with refined architecture in a fantastic natural scenery. 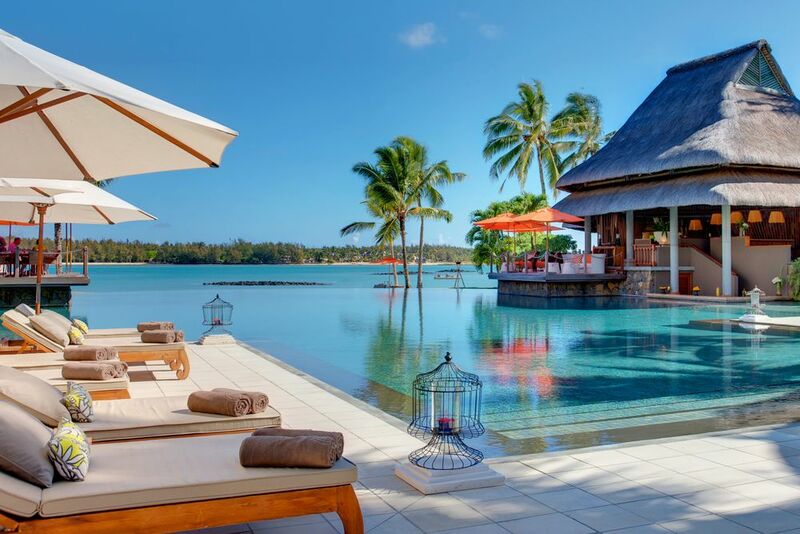 At Constance Le Prince Maurice, surround yourself with a blue lagoon and white sandy beaches in a first-class luxury hotel that offers total privacy and ultimate relaxation. 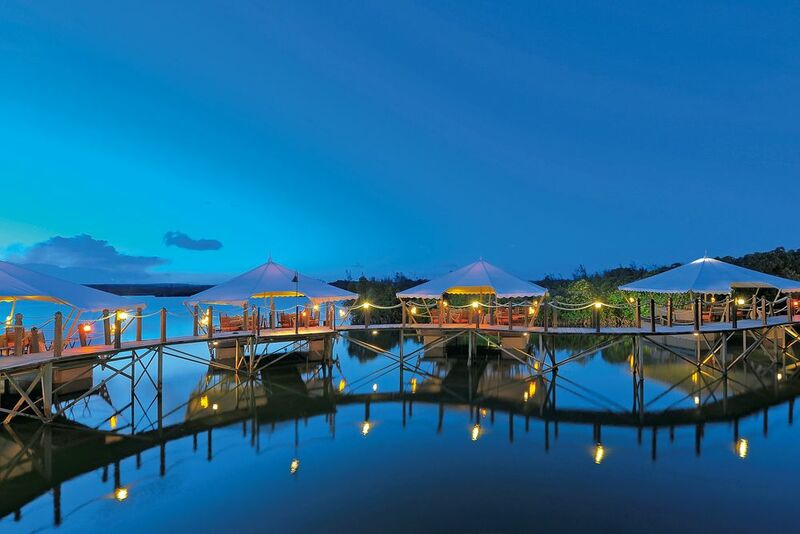 The romantic hideaway, Constance Le Prince Maurice, is set amidst a 60-hectare tropical garden on the northeast coast of Mauritius, where the resort is sheltered from the east winds for the perfect peaceful retreat. 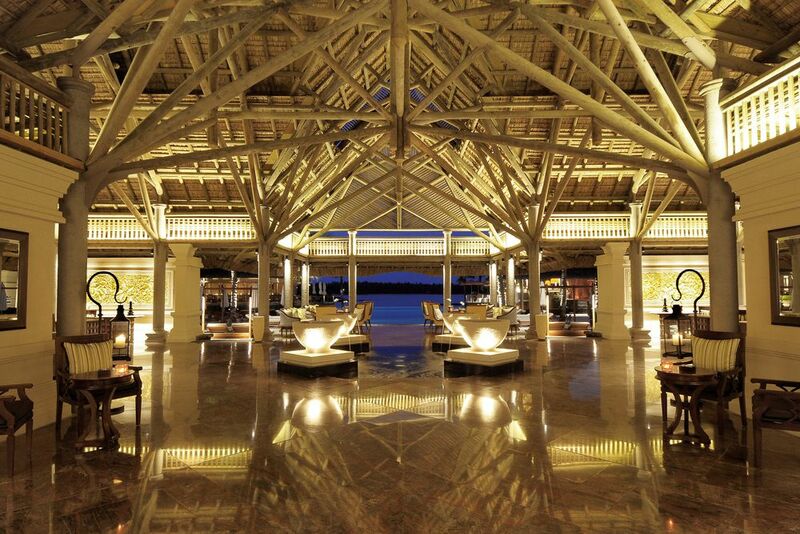 The resort is a place where luxury perfectly blends with architectural design. Designed by the architectural mastermind Jean Marc Eynaud and designer David Edwards, the resort is a place where style, space and architectural design create the perfect hotel lifestyle. The calm, turquoise blue lagoon and the snow white sandy beaches complement the beautiful design for an impeccable picturesque landscape. 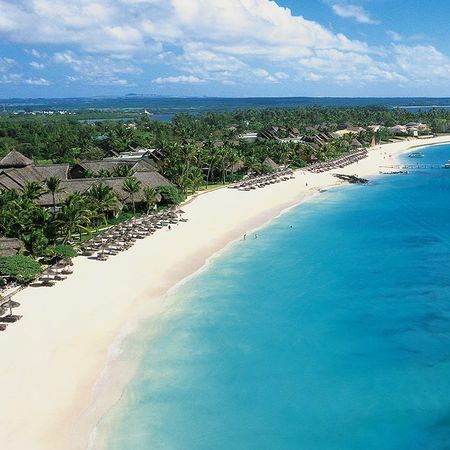 The hotel is located approximately one hour from the Mauritius airport. The peaceful hotel is set amidst lush tropical greenery that surrounds the beautiful infinity pool. 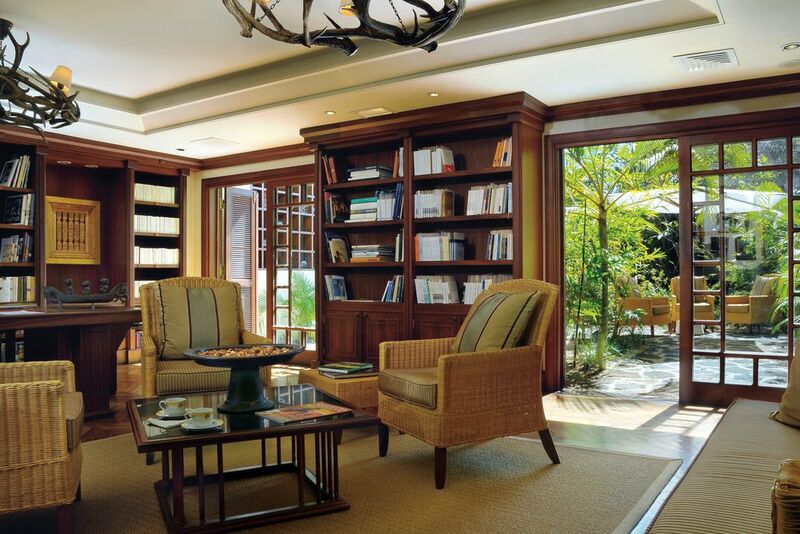 The natural reserves add to the décor, instilling a sense of tranquility. Lounge in the intimate and secluded setting, pamper yourself at the spa, and feast on exceptional cuisine created by the international chefs. 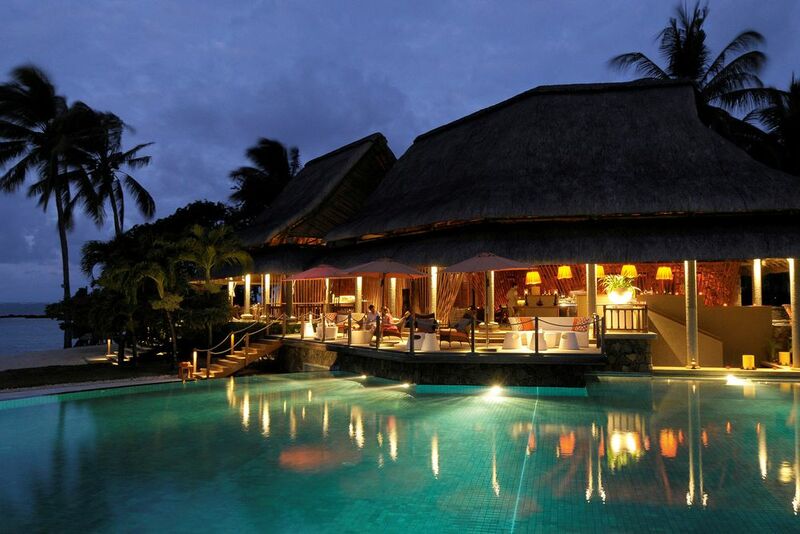 The main restaurant, Archipel, overlooks the stunning beach or the infinity pool and serves exquisite Mauritian flavors. Indulge at the Asian restaurant where they offer Japanese specialties and fresh sushi. 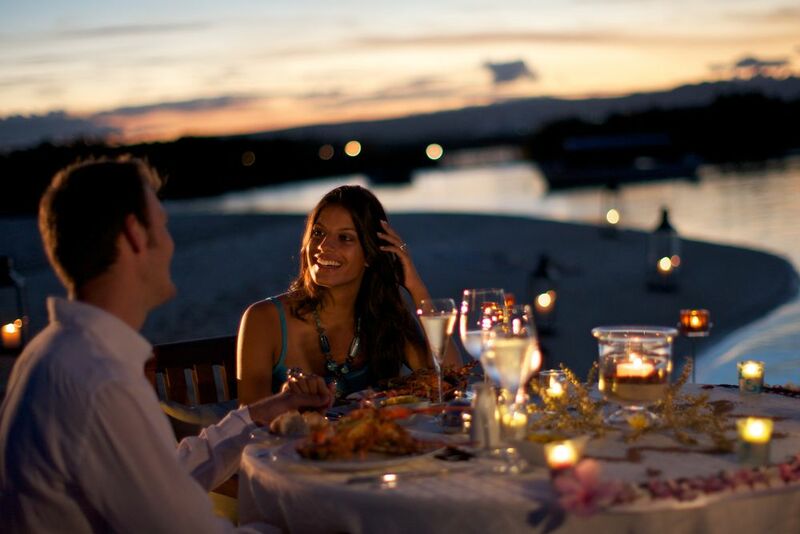 Le Barachois is a romantic seclusion floating above the tranquil ocean and offers Indian Ocean flavors for the perfect candlelit dinner. 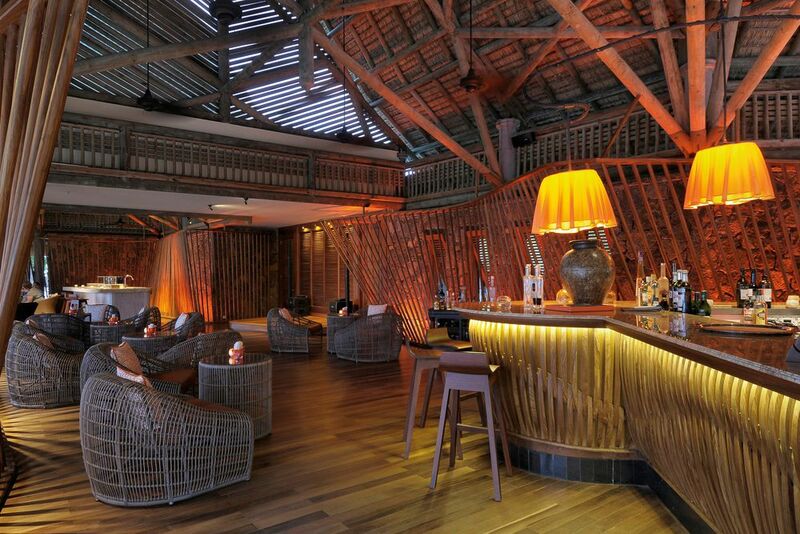 The Laguna Bar is in the main building and spoils you with delicious cocktails, fresh juices and live entertainment. 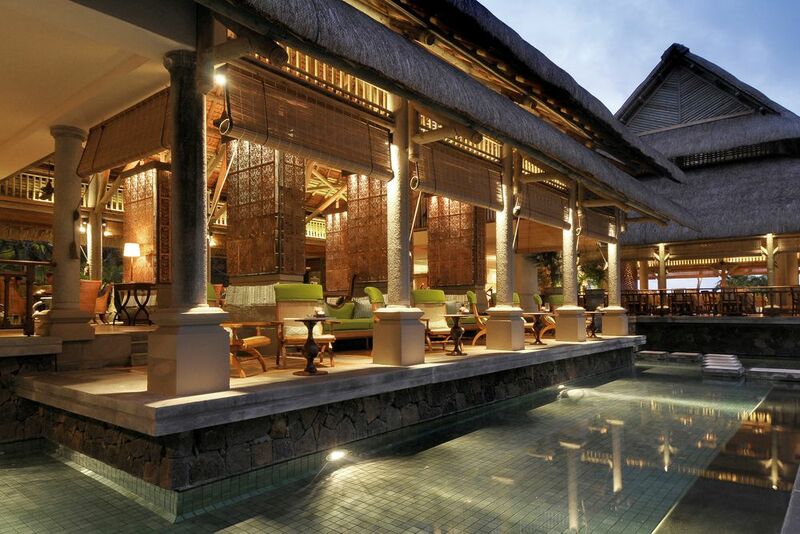 The Lotus Bar is next to the Archipel Restaurant and offers light snacks and drinks in an elegant atmosphere. 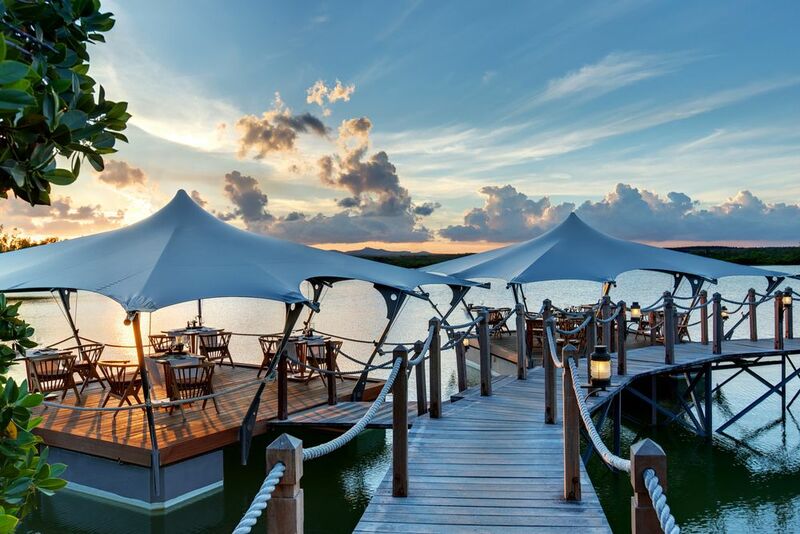 In the evening, enjoy refreshing drinks and magnificent views of the Indian Ocean at the Floating Bar. For wine lovers, head to the 175 m² wine cellar to discover 25,000 bottles of exclusive wines from all over the world ready to be tried! Other hotel amenities include a Kids Club, business lounge, a library and a shopping area with a wide selection of luxury items. All 89 suites and villas are elegantly furnished with Mauritian design and feature a spacious bathroom with a bath, and a separate shower. There is also a minibar, a safe, a desk, free Wi-Fi, telephone, furnished terrace or balcony, and tea/coffee making facilities. 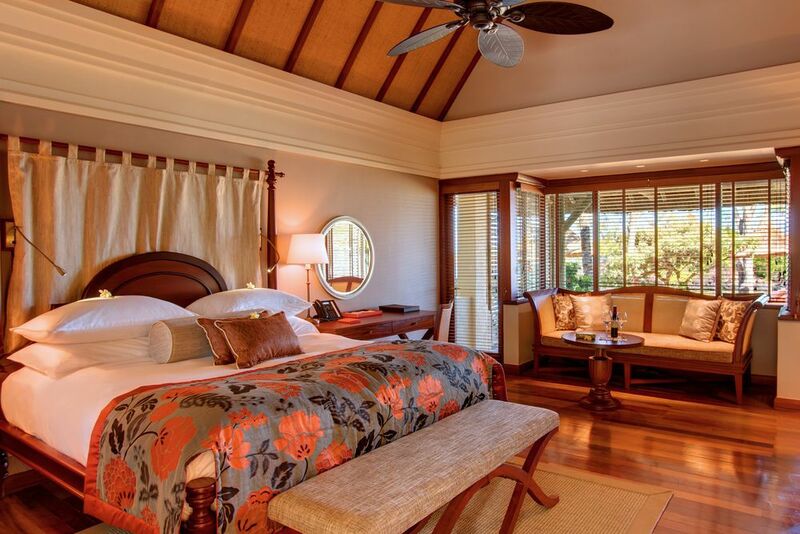 Junior Suite with Garden View (70 m²)— Elegantly decorated with a pinch of Mauritian warmth, these suites are perfect for a romantic getaway. Junior Suite Beachfront (70 m²)— Located directly on the white powdery beach, these suites face the lagoon, boasting incredible views of the Indian Ocean. Junior Suite on Stilts (70 m²)— Secluded, intimate, and on the Barachois, these special suites overlook the sea and give a sense of tranquility during your holiday. Family Suite (86 m²)— The feeling of comfort and well-being radiates from each suite, making your holiday a memorable one. Perfect for families, there is a parents’ room, a sitting area and a children’s room with a bunk bed and a bathroom especially designed for children. 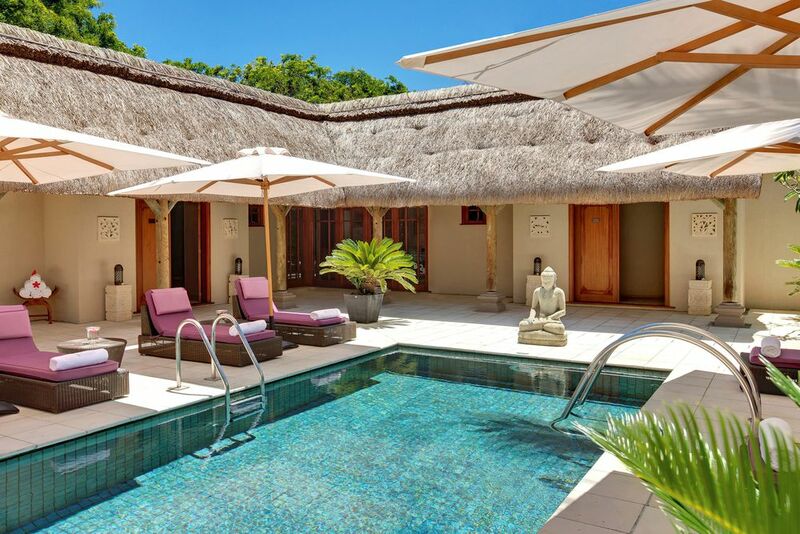 Villa on Stilts (130 m²)— Set alongside the Barachois, these villas offer intimacy and comfort with ultimate relaxation. Sunbathe or stargaze on the furnished balcony for an unforgettable holiday. Beach Villa with a Private Pool (130 m²)— Direct beach access, beautiful ocean views, blue skies and a private pool is the perfect combination for the best vacation ever! 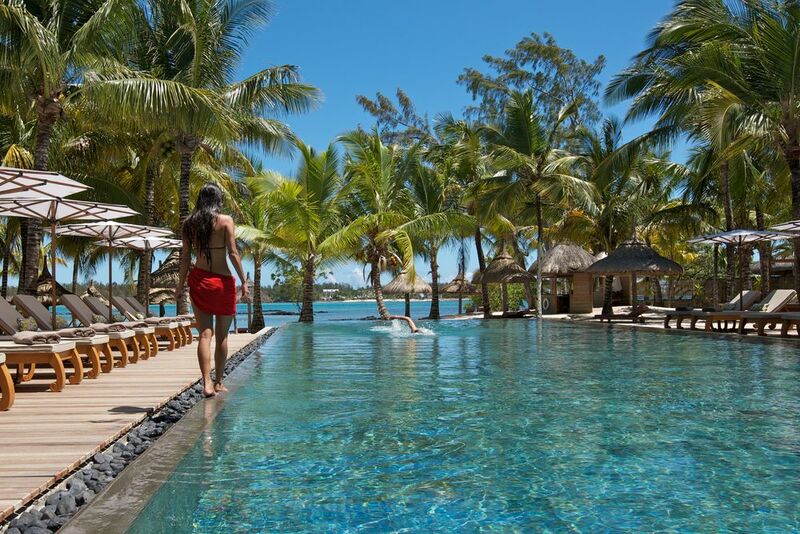 Step into the luxurious Spa de Constance Le Prince Maurice. 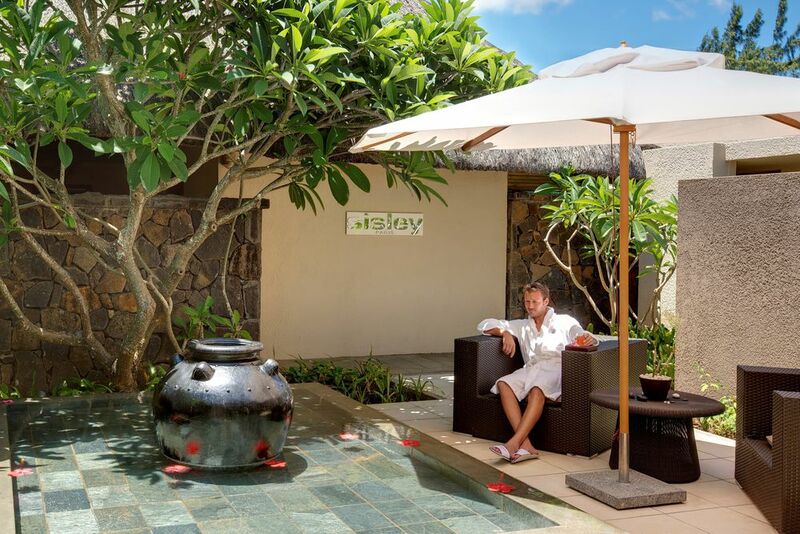 The soothing Sisley treatments and array of treatments makes it the best place to relax and unwind. U Spa offers 3 Sisley treatment rooms, a relaxation room, a sauna, a steam bath, a whirlpool, a dipping pool and a thermal pool. 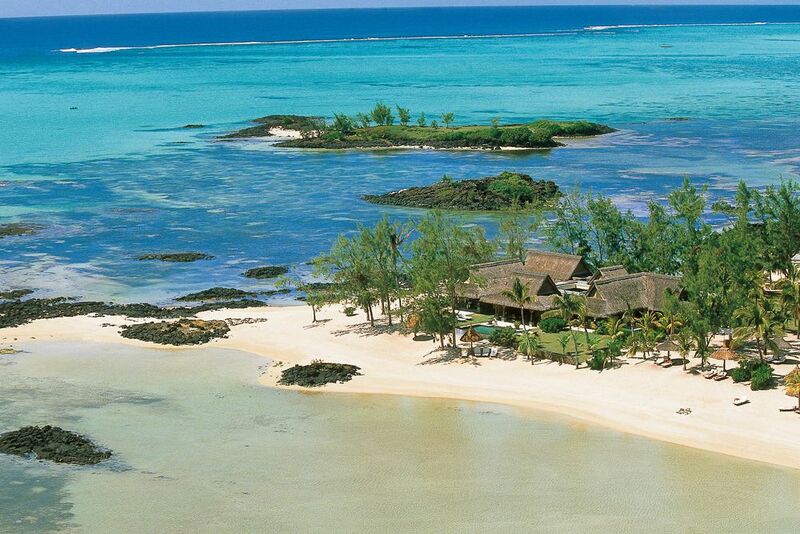 Would you like to explore the paradisiacal island of Mauritius? The luxurious resort offers a variety of memorable excursions to pair with your relaxing holiday. Enjoy catamaran trips, deep-sea fishing, canoeing, underwater adventures, kite surfing, quad biking, parasailing and much more! Even golf lovers thrive when visiting Mauritius. There are two 18-hole championship golf courses located nearby.